Welcome to Body & Soul Health Shop. 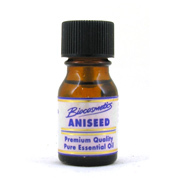 We stock the complete range of Power Health's aromatherapy products, including Aromatherapy Pure Essential Oils. Buy online or call Free Phone 0808 144 0842. Essential Oils are a concentrated, hydrophobic liquid. They contain compounds which have been extracted from plants. They are called essential oils because of the fragrant essence they get from plants they are extracted from. They are also known as Ethereal Oils or Volatile Oils.